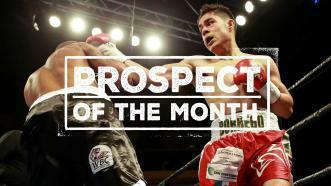 Undefeated 140-pound prospect Jose Miguel Borrego is 13-0 with 12 knockouts and is PBC's Prospect of the Month. 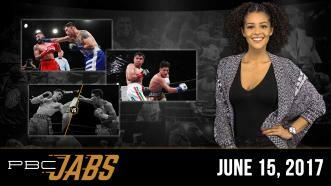 This week on PBC Jabs we recap all the knockout action from our June 11th show, rising star Mario Barrios joins us to discuss the 140-pound division and we preview our June 20th Las Vegas FS1 show. 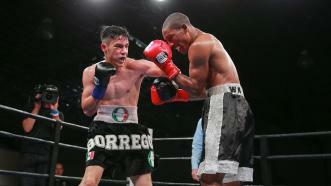 Jose Miguel Borrego scored a fourth-round TKO of Kevin Watts in a matchup of 140-pound prospects. 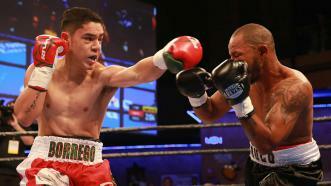 Jose Miguel Borrego was sensational in his U.S. debut, defeating veteran Tomas Mendez by first-round knockout.